Physical Test for UP Police Constable Post will be of Qualifying Nature. For Male : Race of 4.8 Km have to complete in 25 minutes. For Female : Race of 2.4 Km have to complete in 14 minutes. Physical Test will be conducted after Written Exam. Weight : for Female Candidate minimum weight is 40 kg. UPPRBB will conduct Constable Exam under Offline/ Pen Paper Mode. UP Police Exam will conduct on OMR Sheet. There can be Negative Marking of 0.50 Marks in the Exam. There will be questions from General Knowledge, General Hindi, Numerical & Mental Ability, Mental Aptitude, Reasoning Subjects. There is no criteria for Minimum Qualifying Marks in the exam. 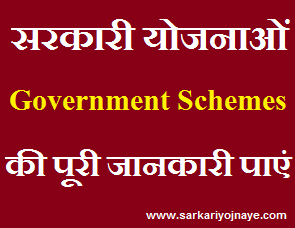 General Knowledge : History, Culture, Geography, Economics, Indian Constitution, Sports, Literature, Science, Specific knowledge about Education, Culture and Social Custom of Uttar Pradesh, Revenue, Police and General Administration System in Uttar Pradesh, Protection of Women and Children, Basics/Fundamental of Information & Communication Technology, Environmental Studies, Basics of Language-Hindi Grammar. Current affairs : Current events of National and International importance, Important Personalities, Appointments, Prize, Important Places, Main Committees and Commissions, Burning Issues and Disputes, Major Settlements, Judicial Decisions, Books and Authors, Abbreviations, Miscellaneous. Numerical Ability : Number System, Simplification, Decimals and Fraction, Highest common factor and lowest common multiple, Ratio and Proportion, Percentage, Profit and Loss, Discount, Simple interest, Compound interest, Partnership, Average, Time and Work, Time and Distance, Use of Tables and Graphs, Mensuration, Miscellaneous. 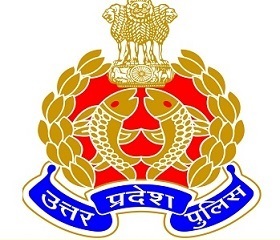 Candidates need to Visit Regularly website of UP Police regarding any change in UP Police Jail Warder Syllabus 2018 Fireman Exam Pattern. You can Bookmark this page (CTRL+D) for Latest Updates. Dear UP Police Constable Aspirants You can clear your Doubts regarding Exam Pattern, Syllabus through Comment Box given below. You can also send us E Mail. We will happy to help you. Sir can i apply for both jail warden and fireman??? yes you can apply as general candidate. apply from given link..